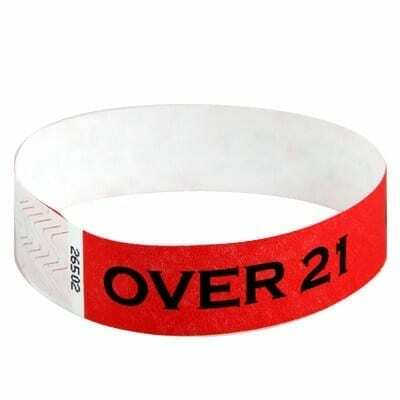 Event wristbands at Just-4-Fun Party Rentals in Santa Barbara. This product has so many uses! Whether you need to keep up with kids on a school trip, control admission to your event or identify VIP guests and guests of legal drinking age, our inexpensive wristbands are the perfect solution. Simple colored bands are made by Tyvek and feature: Self adhesive closure, neon colors available, and waterproof. Price is just .25 cents each any colors. Add this items to your order to make your event more professional and organized. New colors/styles available: ask for all colors when ordering. **This item is only available with your renal order – non minimum.